January is National Mentoring Month! If you’ve been fortunate enough to have a writing mentor to guide you, instruct you, and help you navigate the ins and outs of becoming a better (and maybe published!) writer, then this is the perfect time to say thank you. How can you best show your gratitude for the countless hours your mentor spent reviewing your work and sharing keen insights? 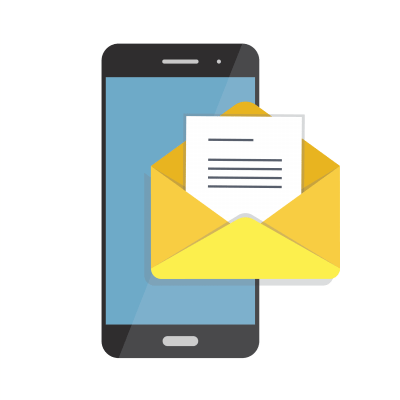 Well, a gift card is always nice, but here at Writer’s Relief, we have a few ideas that might bring an appreciative smile to your writing mentor’s face. If you’re looking for a special way to express your gratitude to your mentor, we recommend you include a much-deserved “thank you” on your book’s dedication page or in the acknowledgments. Being remembered in a book’s dedication is a very special honor. Everyone who reads the book will see this very public recognition in the first few pages. Including your mentor in the acknowledgments section of your book is also a very nice way to let people know how much his or her help meant to you. While a book dedication should be brief, you can go into more detail on the acknowledgments page. Of course, you can always give your mentor a signed copy of your book with a personalized message written inside. 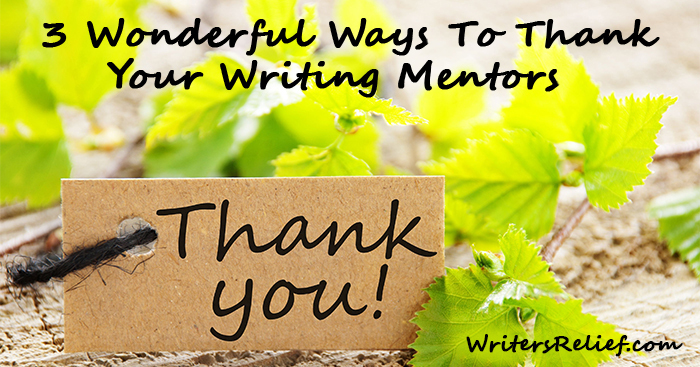 Include specifics as to how your mentor helped your book become a reality. If you haven’t written a book but still want to thank your mentor with a literary-themed gift, what about a favorite book, or work by a favorite author? While it’s likely your mentor probably has at least one dog-eared, well-loved copy of a favorite book, that doesn’t mean another copy wouldn’t be appreciated—especially if it has a rare cover or is a first edition. Positive reviews help sell more books! If your mentor has written a book, you can post a nice review on Goodreads. Be sure to post a review that’s worthy of the writer your mentor has helped you to become: Use proper grammar and punctuation—and don’t give away the ending! Bonus: If people reading your review like your writing style, they may visit your Goodreads page or search you out online to learn more about you too! And if your mentor has work published in a literary journal, or has a book signing or other appearance scheduled, be sure to talk about it on your social media (with links to the publication or event if possible). If you’ve been staring wistfully at your screen as you read this article, wishing you had a mentor of your own, we have good news! You, too, can have a reason to fret about what gifts to buy a writing mentor. 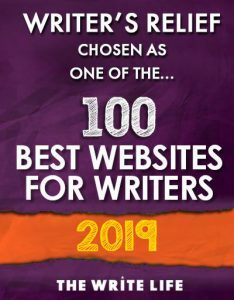 There are plenty of accomplished authors out there who are willing to assist a hardworking writer eager to tap into the considerable knowledge they’ve learned about their craft. For more information on how to find a writing mentor of your own, check out this article about finding a writing mentor. Question: How will you say “thank you” to your mentor this month?